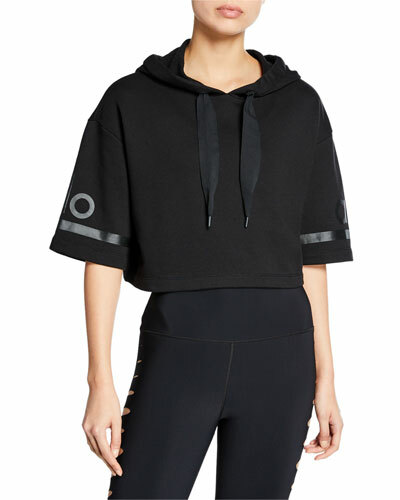 Los Angeles-based Alo Yoga exceeds the performance standards of the city's most committed yogis, who look for high-quality, high-style pieces in breathable fabrics. 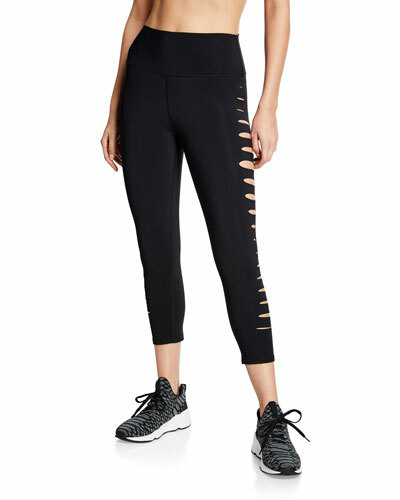 Created by a design team of yoga and fitness enthusiasts, Alo Yoga's fit is sure to move with you during any intense workout. 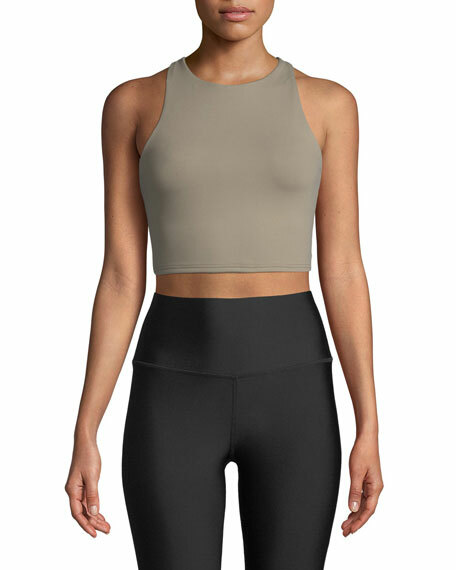 Founded in Los Angeles in 2007, Alo Yoga is a fashion-forward active wear line that can take you from the mat to the street with comfortable, contemporary styles. Its founders were moved by the transformative power of yoga and wanted to create a line that can elevate a practice by allowing for a free, un-self-conscious flow of movement. 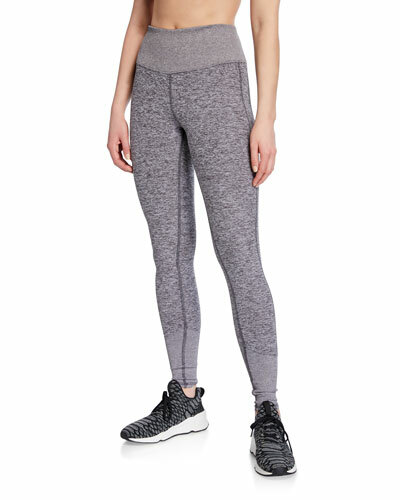 Alo Yoga practices mindfulness in everything it does, from the design of its leggings, bras, and tops, to its daily business operations that aim to conserve energy and resources. 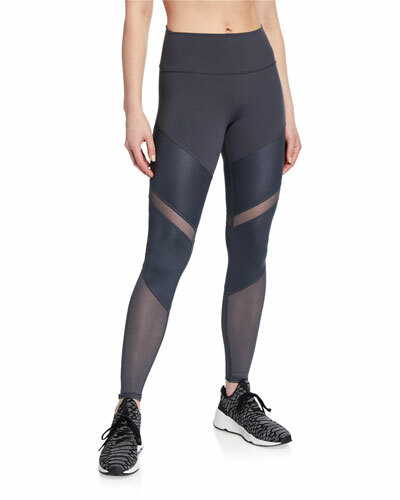 Find a selection of Alo Yoga luxury leggings and performance wear at Bergdorf Goodman. 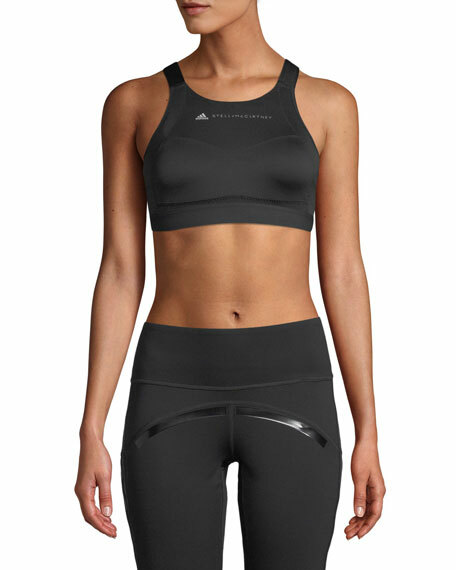 Alo Yoga "Movement" sports bra in high-performance fabric with a full lace-up back. Four-ways stretch for maximum range of motion. Moisture-wicking, antimicrobial technology. Removable cups for added support. High, scoop neckline. Pullover style. Nylon/spandex. Imported.